Every time the year turns to February, there is always a thought/day/event attached to it-Valentine’s day! The month of flowers, gifts and loved ones. My Valentine’s day went well, it won’t be the same without having to spend the day with Ryan, my boyfriend. 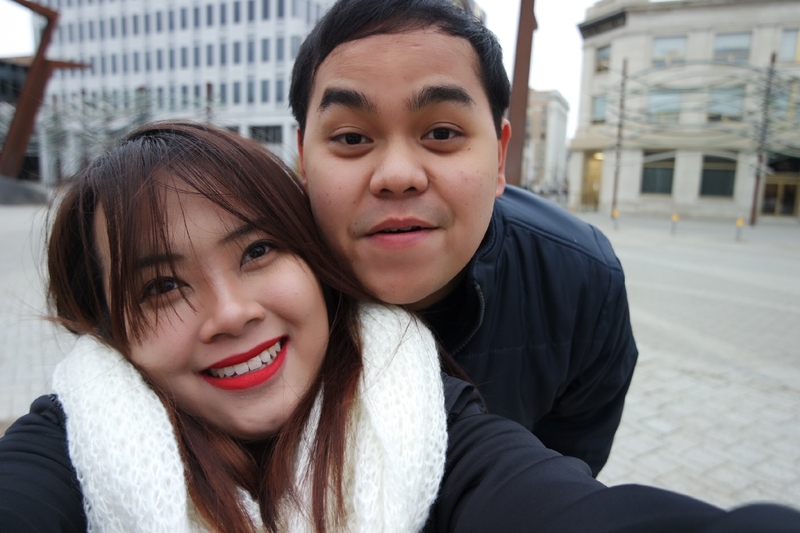 This is our third Valentine’s day but as cliche as it may seem, it still feels like the first time. 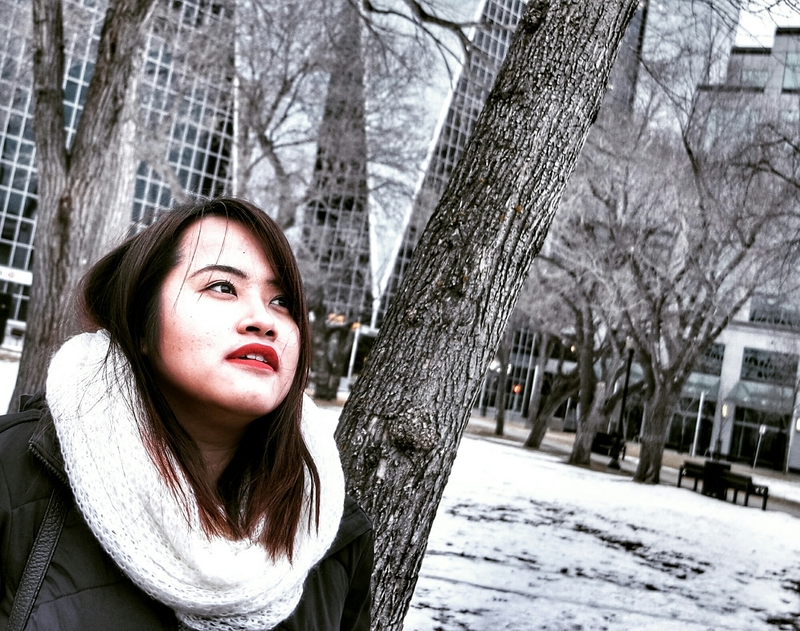 We went to a park downtown Regina to do some ice skating despite the -15 degree celsius wind chill in our city. With so much optimism, we found the park dead and cold. Who would want to skate with a chilling weather anyway? Only us, I guess. We were supposed to eat at The Keg, but according to my boyfriend the restaurant was not accepting reservations when he called. 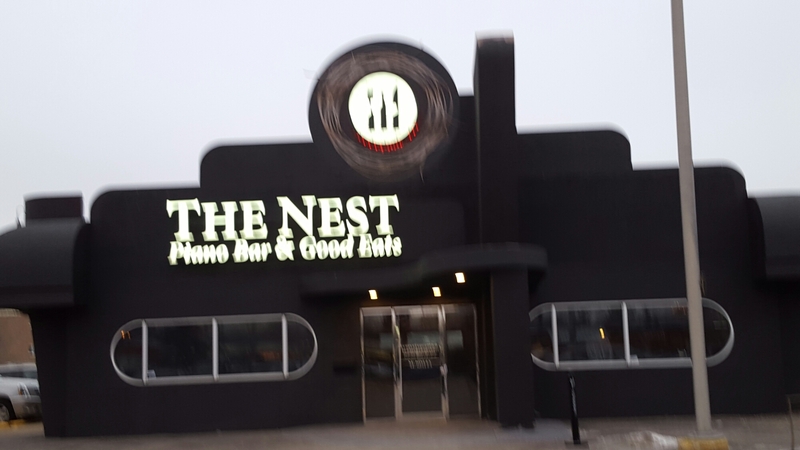 So we had our supper at the Piano bar, just across the street- The Nest. Sorry! I had to laugh first at their names- egg nest. Hmmm. I loved the piano mat! 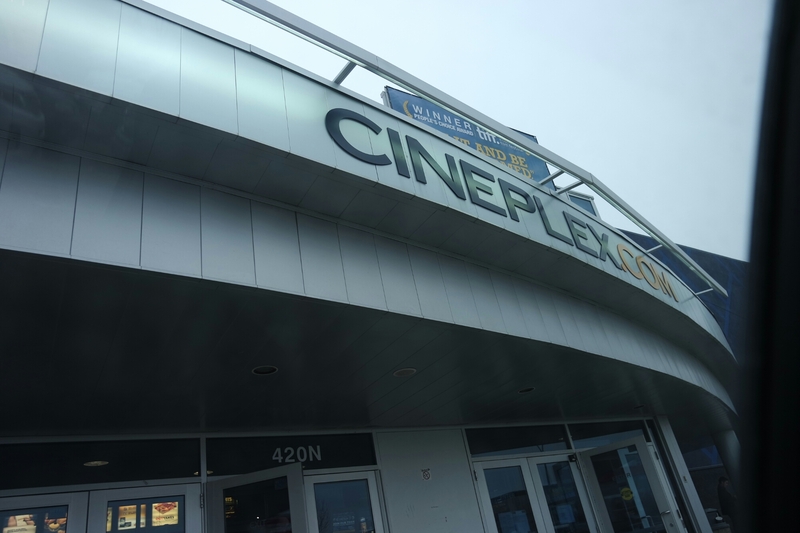 It really suits the place’s ambiance. There was a gentleman singing live while also playing the piano… ugh, really romantic. 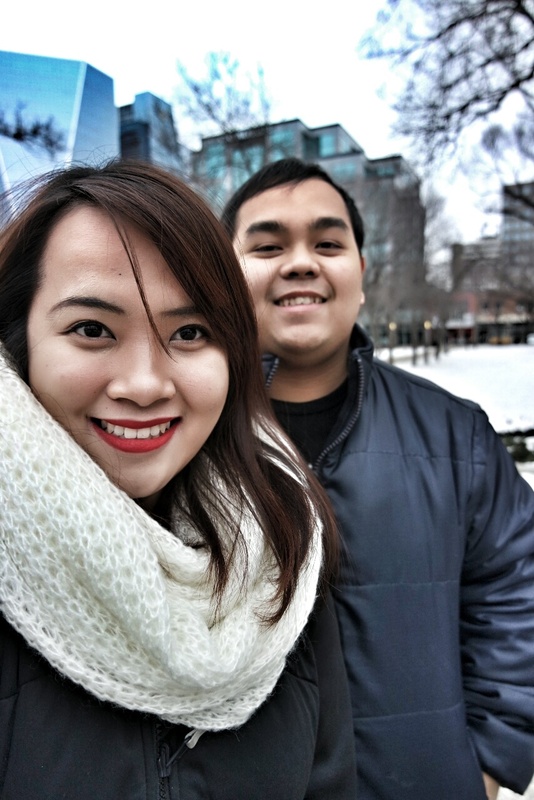 The lady who accommodated us was not really accommodating. If she was the only server there, we would not bother to give a tip. Well, she assumed we know where to sit, that’s why I felt like we were lost a bit. Then she did not even tell us that she would not take our order, basically she left and ignored us, which caused a delay in our planned activities for the night. Good thing the rest of the crew were not like her and the foods tasted good too! One of the best calamari I have ever eaten. We both had this appetizing salad. YUMMY NEW YORK NEW YORK STEAK! Definitely coming back for this. Whenever my boyfriend and I eat out, we always order different foods to be able to share and taste each other’s meal. That’s like hitting two birds with one stone. 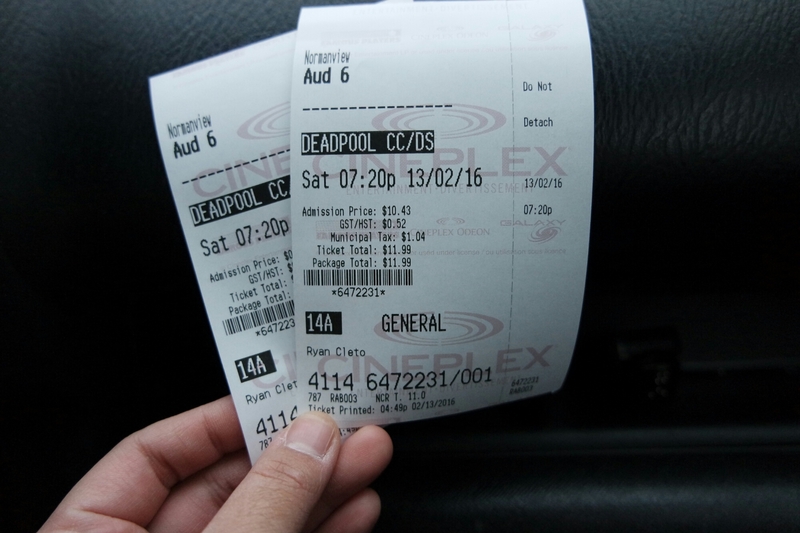 Then we watched Deadpool… I won’t give any spoilers here so you can continue on reading. The night ended with a snow, which I take as a blessing for us. We exchanged gifts and kiss as we parted and call it a night. I know that yesterday was just like any other day, but celebrating love day isn’t bad at all. I am actually reminded to be grateful for the people that I am with.